What is the purpose of the 750kg Pallet Dolly? These dollies will take the hard work out of transporting large pallets from one location to another. The 750kg dolly is easy to roll and manoeuvre, making it a great solution when you’re in need of shifting items around within a certain area. It will keep strain off of your back while also getting your supplies where they need to go. Where can this warehouse dolly be used? 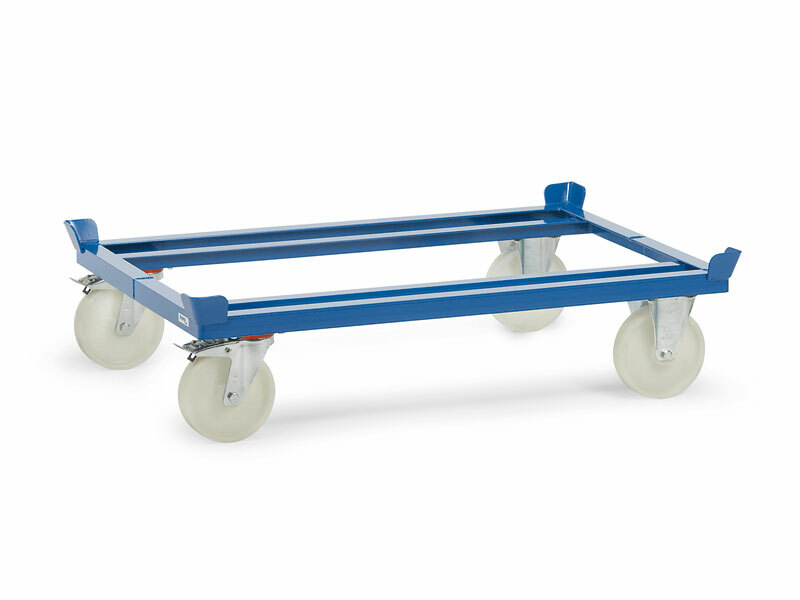 The 750kg Pallet Dolly is perfectly suited for warehouses and stockrooms. It can also be used to move things in a store or even through a hotel lobby, because the wheels are non-scuff and will leave hallway floors unmarked even from the heaviest load. Loading docks are also excellent areas in which this can be used, positioned right where deliveries are being accepted and sent out to make the most of their use. Who might use this Pallet Dolly? Those workers who have to manage the transportation of heavy pallets will be delighted with this 750kg dolly. These would include warehouse and construction site foremen and workers, loading dockworkers and store stock clerks. 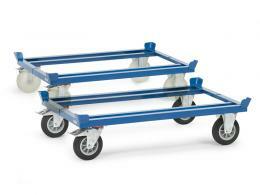 As you can see by its name, the 750kg trolley dolly can hold that much weight capacity. 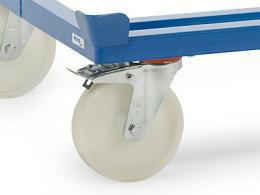 The wheels are low noise and swivel for optimum manoeuvrability. The dolly comes in 4 sizes and is made in EU. One of the exciting benefits with this incredibly sturdy 750kg Pallet Dolly is we offer a 10-year warranty on parts and labour for this product. 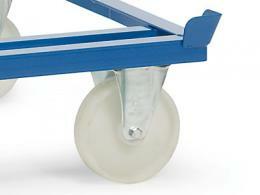 Also, the wheels are made of TPE non-marking material. That means they are made of Thermoplastic Elastomer that combines both hard and soft tread in one wheel. This allows for the precision of the more rigid material combined with the gentler pressure of the cushion from the more giving tread all at once, creating the lower noise.